The methodology reviews all activities that do not add value to the production process, for example – faulty equipment, holding of stock, outdated technology or unnecessary movement of staff around the factory. Chris, a Support Engineer in the Amcanu Technical Team, has recently attended a three day Lean Green Belt Training course, hosted by our client Godwin Pumps. The course was designed by Xylem, Godwin’s parent company and presented a series of Kaizen modules on different topics. ‘Kaizen’ is a term for continuous improvement that instigates many small changes to improve the quality and efficiency of a manufacturing process. 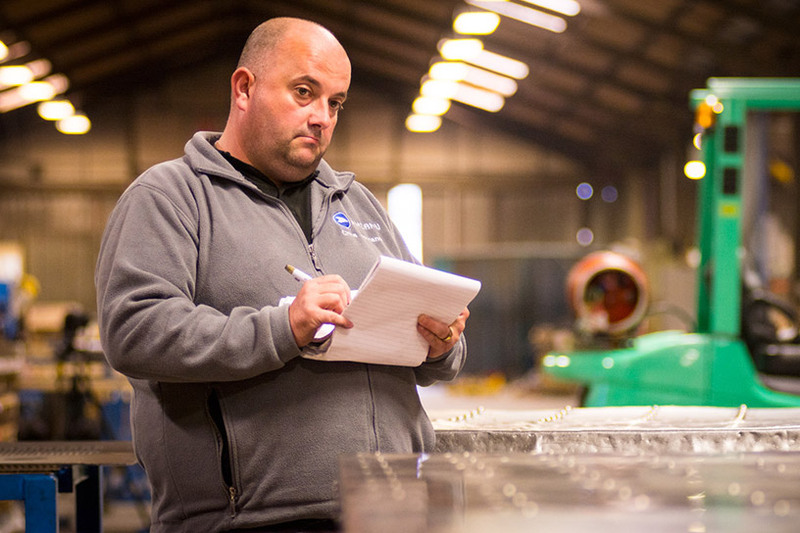 Chris will be now be undertaking two projects where he will apply the Lean methodology to Amcanu’s work processes, both within the Technical Team and on the factory floor. This means making small changes that will incrementally build up to make a big difference. Helping our team understand Lean principles will enable us to be more efficient, which means we can continue to offer great value products and services to our clients.